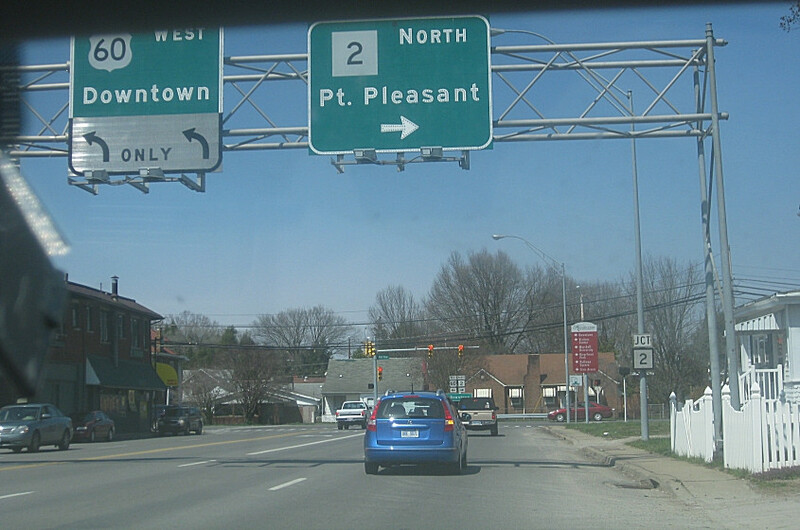 In Chesapeake, OH, this is northbound OH 7, though we're actually going south. In other words, buy a road atlas. 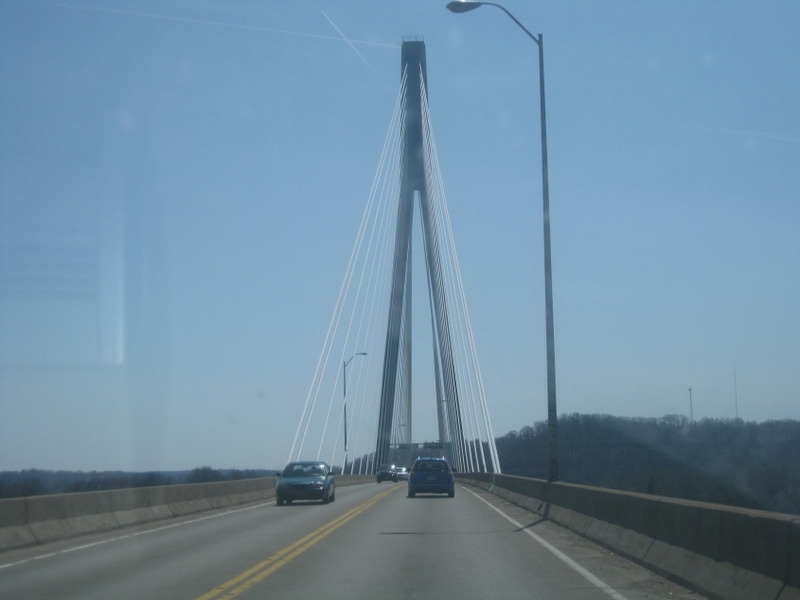 The bridge is the Robert C. Byrd Bridge, which runs to Huntington and opened in 1994. 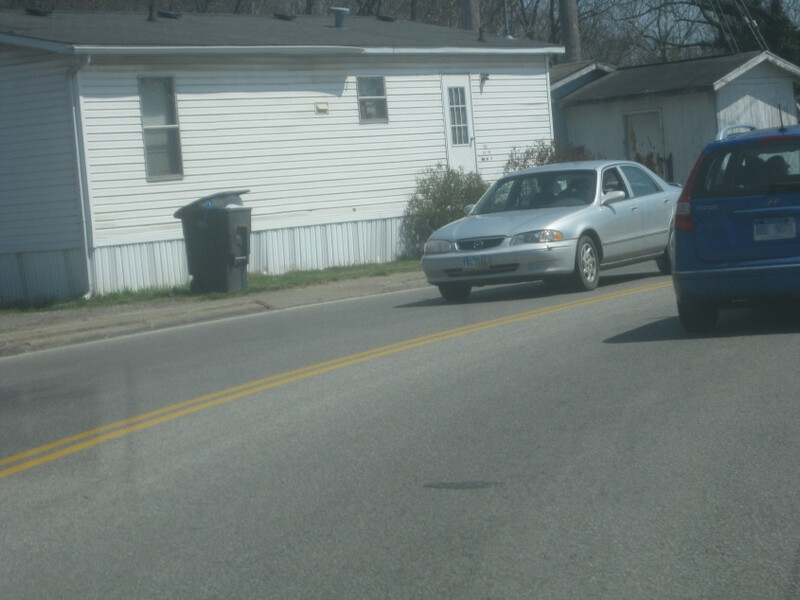 At the intersection before the bridge, OH 7 makes a left as the road onto the bridge becomes OH 527. 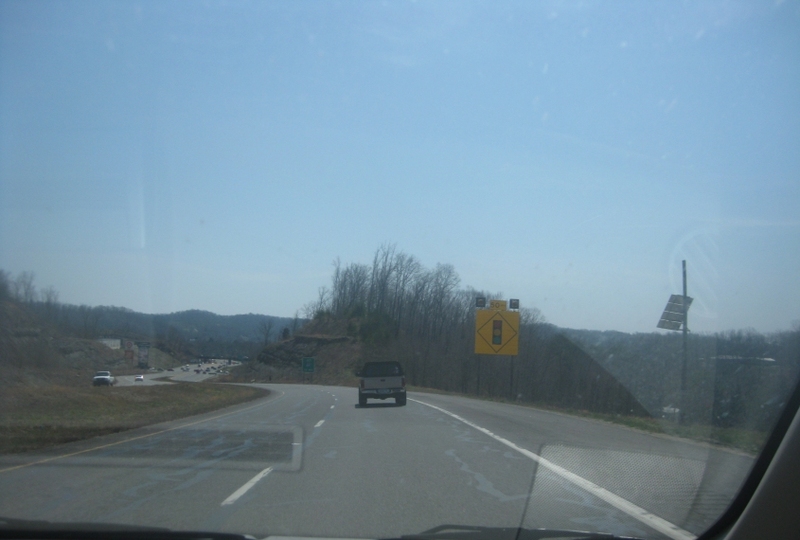 It becomes WV 527 at the state line. US 52 once used an earlier bridge at this spot. A curve on OH 7 in Chesapeake. 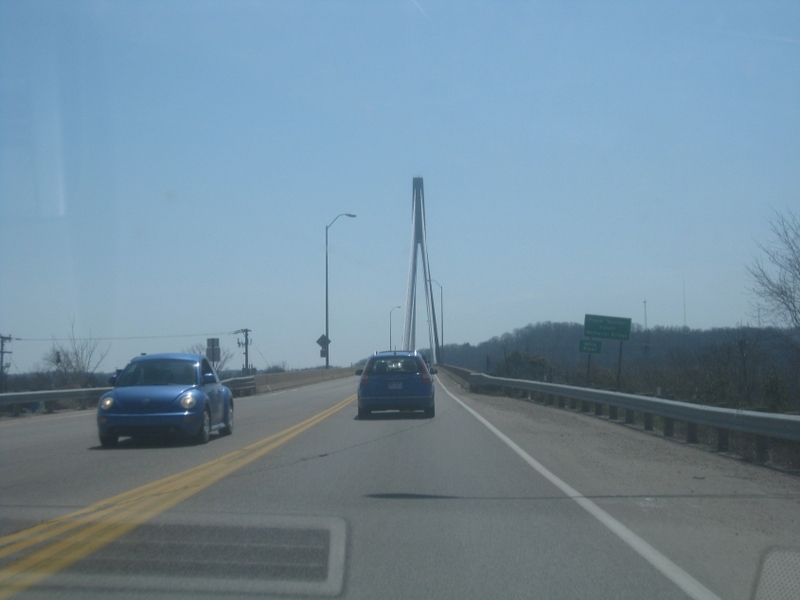 The OH 7 bridge over Symmes Creek in Chesapeake. The Huntington skyline as seen from OH 7. 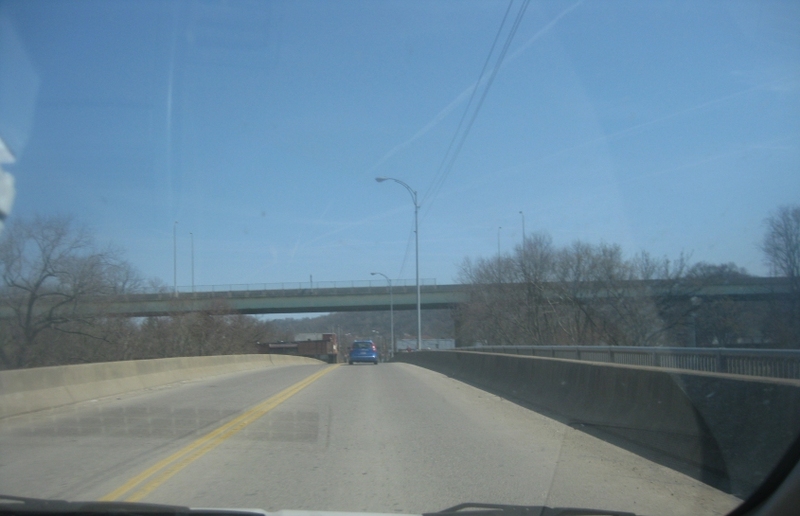 Here's a view of the East Huntington Bridge - known officially as the Frank Gatski Memorial Bridge. 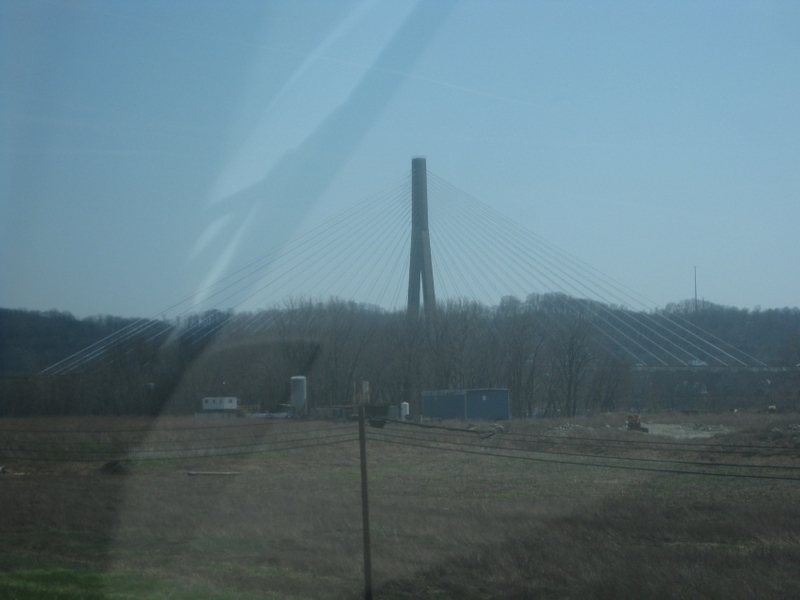 This modern type of span is called a cable-stayed bridge. It opened in 1985, and it holds OH 775 and WV 106. 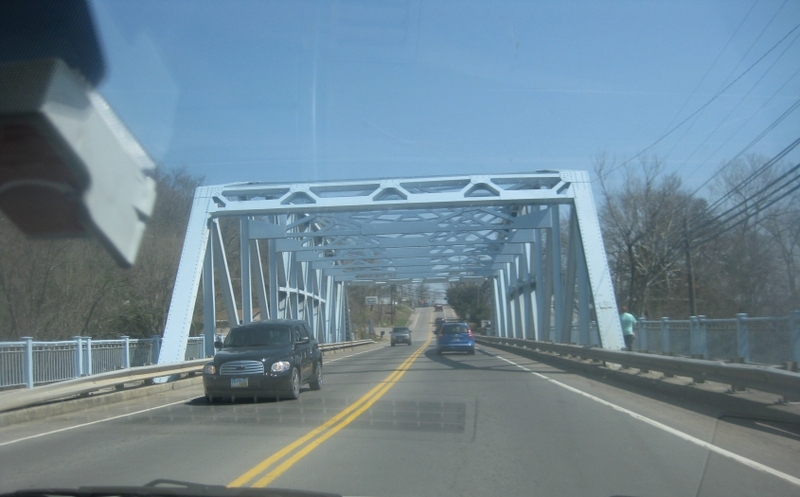 Another view of the East Huntington Bridge. 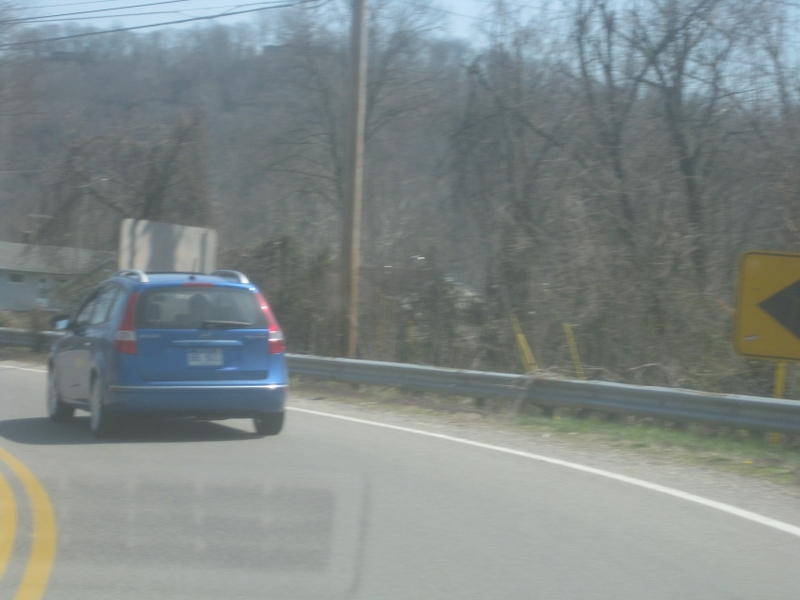 In all likelihood, this is Old OH 7 east of Proctorville, OH. Google marks an Ernie's Mobile Home Park near this curve. Sesame Street has an Ernie. The East Huntington Bridge again! Now we're probably on the current OH 7. Hey! 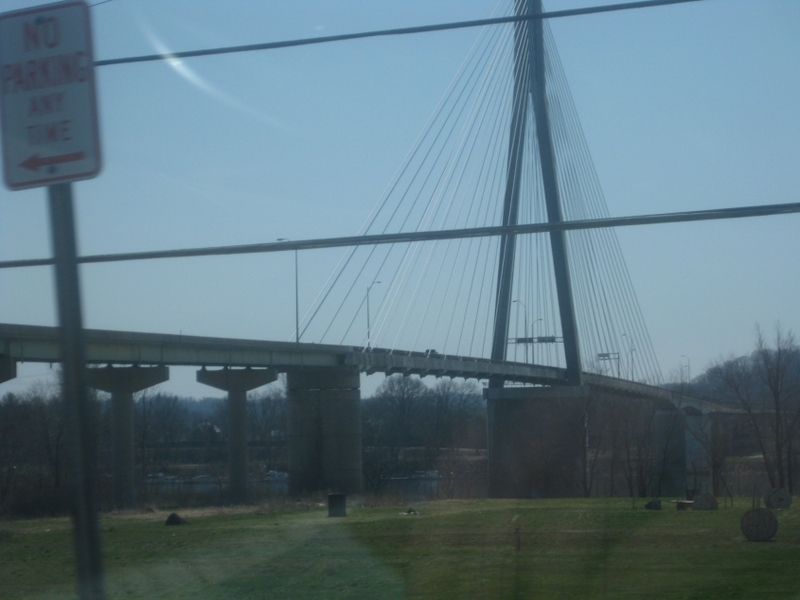 We're crossing the East Huntington Bridge! Continuing on the East Huntington Bridge. 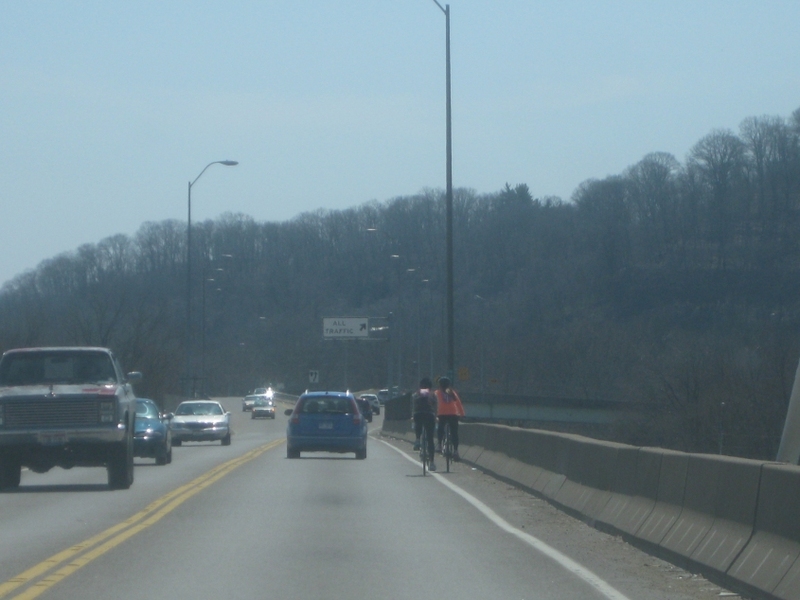 I guess bicyclists can use the East Huntington Bridge if they're careful. But only if poo. Up ahead, all traffic is required, obligated, mandated to ramp to the right and descend to US 60. 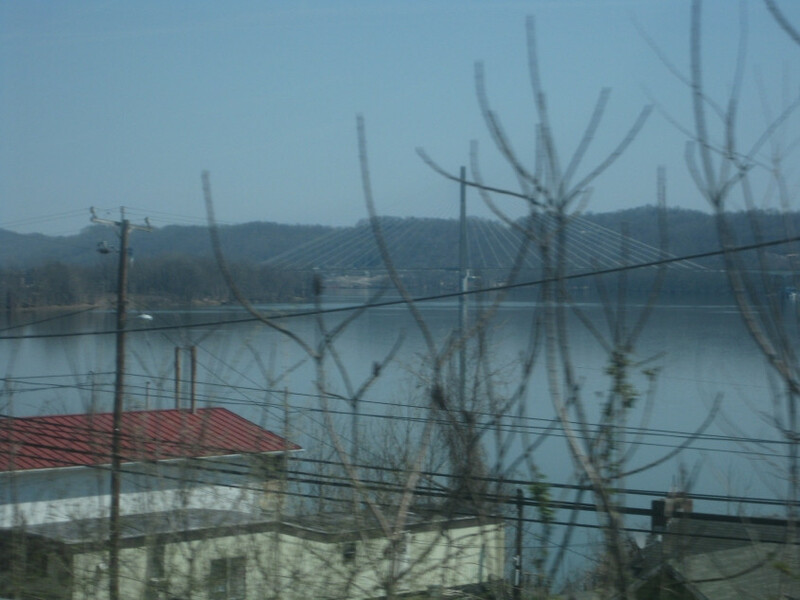 An early proposal had this route continuing to I-64. Here's where we start to curve down towards US 60. In your youth, you were not a button copy fan. But now, button copy Occupies another corner of your mind, as you dream of a spine-tingling button copy experience. 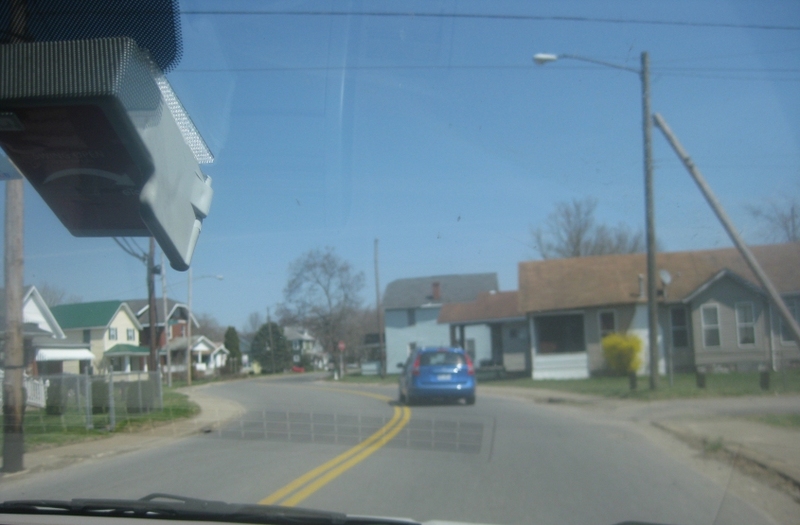 Well, here's your chance: This is on 31st Street in Huntington, which carries US 60. This is just after ramping off the East Huntington Bridge. 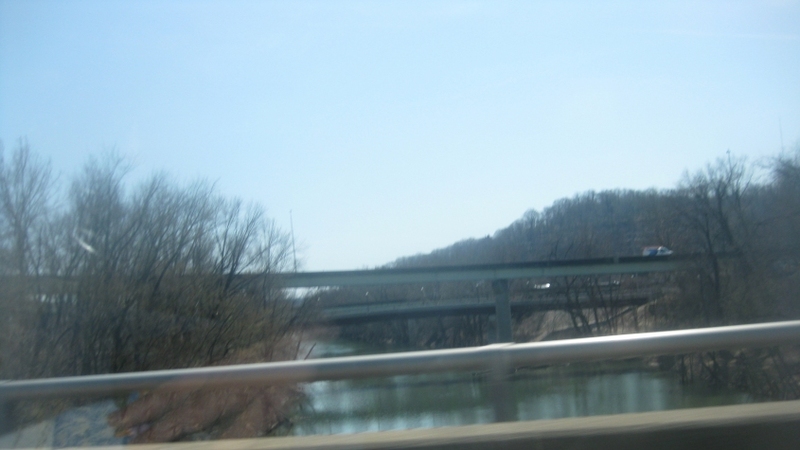 East on WV 2 over the Guyandotte River. 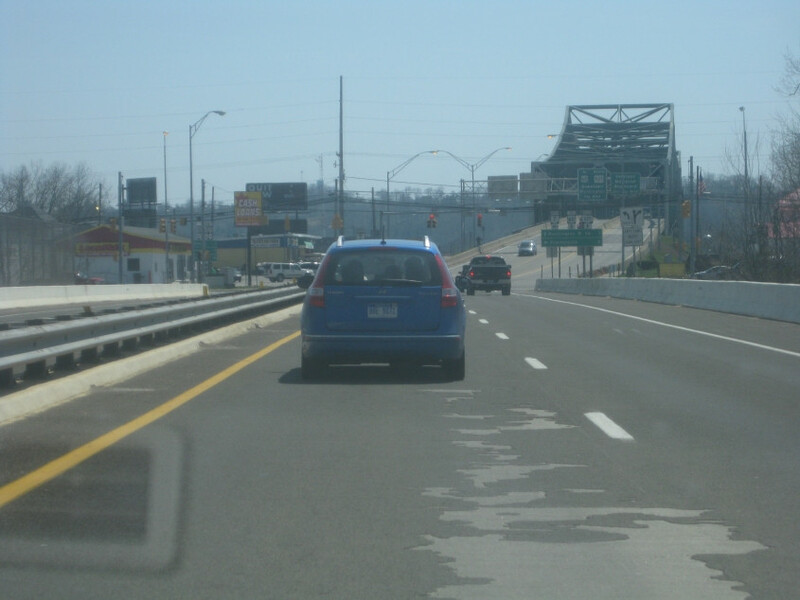 Up ahead, we go under the East Huntington Bridge. 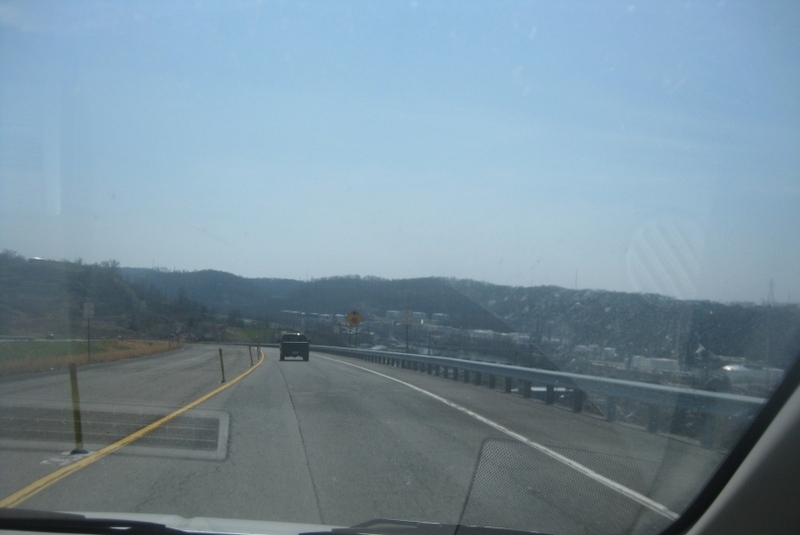 Looking up the Guyandotte from WV 2. 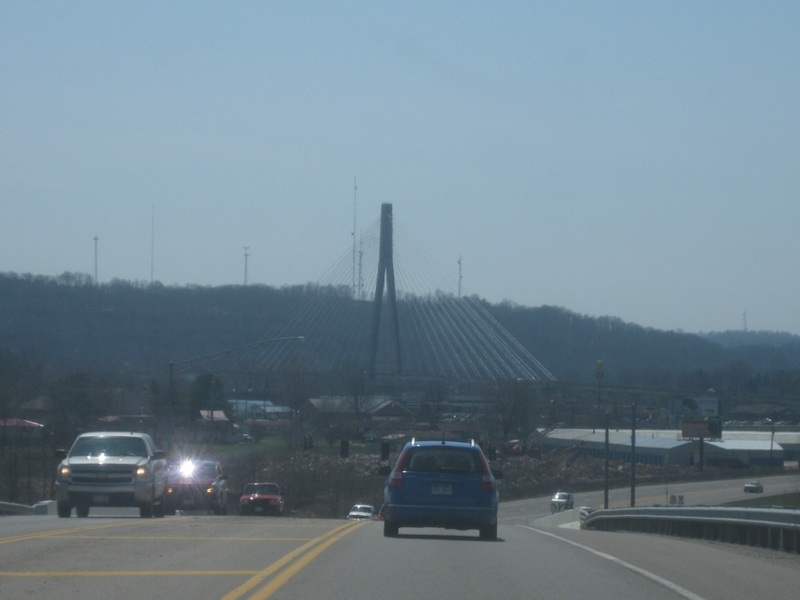 The bridges you see are ramps for the East Huntington Bridge. The old 5th Avenue span would have been somewhere in the mix, but it was removed not long before this roadmeet. 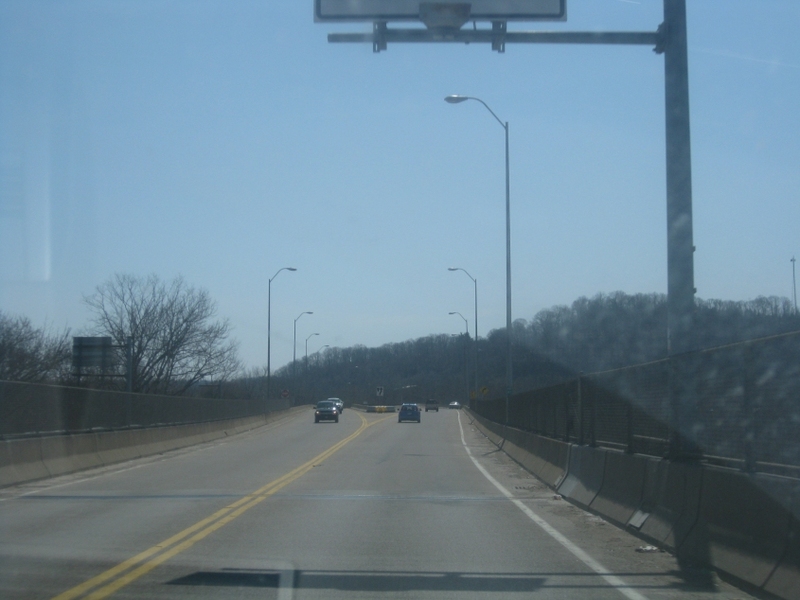 WV 2 in Huntington. Notice the leaning telephone pole at right. Apparently it's been that way for years. WV 2 heads east out of Huntington going through this levee. This has to be WV 193 - the Big Ben Bowen Highway (named for a young cancer patient). Construction of this divided highway began in 1999, and the road was completed in 2005. 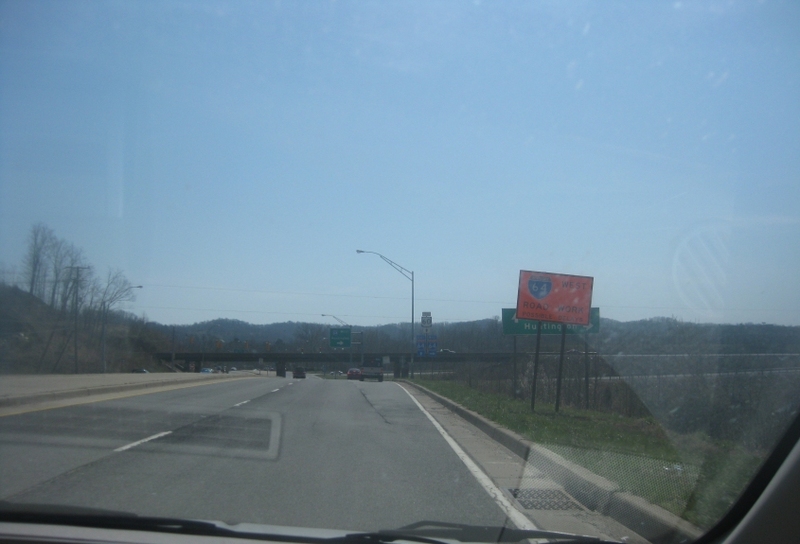 WV 193 at I-64. The orange sign (with the Interstate marker with the quaintly small numerals) warns of construction on the freeway. 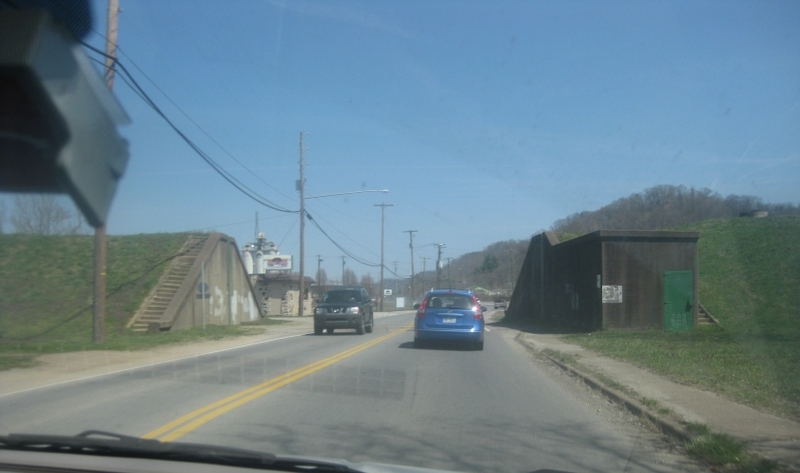 South on US 52 near Kenova, WV. This is near the stub ending of the divided highway. 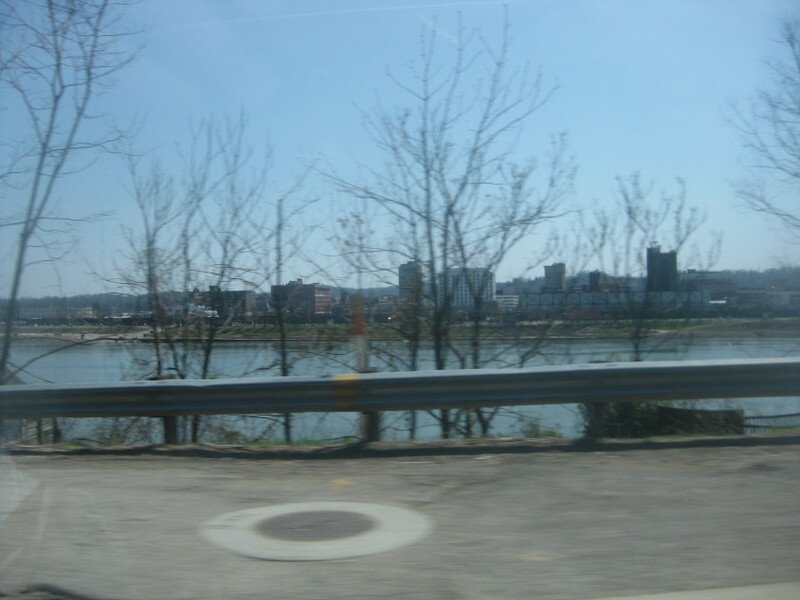 Kentucky is in the background. North again on US 52. The route here is signed as north-south, despite the even number.